The Gwanda man who allegedly murdered a mentally challenged man and harvested the head and private parts yesterday said he had planned to sell the human pieces in Chiredzi. Honest Moyo, 22, who appeared before Justice Martin Makonese at the Bulawayo High Court yesterday, said a friend whom he identified as Cosmas Zhou had advised him that he could get $25 000 from selling the human head and testicles in the small town, which he claimed has roaring trade in human parts. Moyo alleged that when he found a corpse near a dump site in Colleen Bawn, he immediately thought of his business conversation with Zhou and decided to harvest the specified body parts. “The now deceased had been stabbed behind the head, I rolled the body and confirmed that he was dead. There was clotted blood next to the body. Something came to mind about our discussion with ... Zhou who told me body parts could fetch $25 000 in Chiredzi,” he said. “I went back to the corpse with a paper bag and a knife. I cut off the head and private parts and then went back home to search for Cosmas’ contact number. Moyo told the court that his cousin caught him in the act of shaving the human head which led to his arrest. The alleged killer’s father, Lovemore Moyo was the first witness to testify during the trial yesterday. He told the court that he suspected that his son had been up to some mischief when he smelt a stench emanating from his satchel. 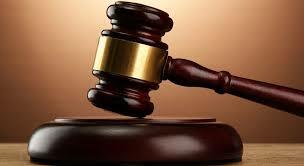 The State alleges that on June 20, 2017 and at Capital Block Farm Colleen Bawn in Gwanda, the accused attacked the now deceased an unknown, homeless and mentally incapacitated male. He allegedly struck him on the head with an unknown object and he died on the spot.